An important new clinical trial was just published in the New England Journal of Medicine, evaluating two different "doses" of post-arrest targeted temperature management (TTM). This trial has generated much interest from hospital providers of post-arrest care. CRS faculty have met to determine our position on the issues generated by the trial. Learn more about the Center ​for Resuscitation Science at University of Pennsylvania. Led by a highly-experienced physician and nurse team at the University of Pennsylvania, this one-day workshop will update the participants with practical information about the implementation of post-arrest cooling therapy to improve outcomes. Through small group discussions, problem-based learning and short lectures, participants will learn the newest information about practical questions such as: inclusion/exclusion criteria for hypothermia? What side effects should one look for? How should side effects be managed? How can the brain be monitored during cooling therapy? 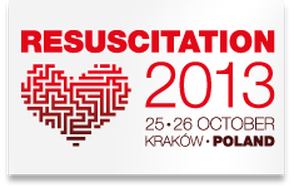 This workshop is ideal for physicians or nurses who are actively involved in the clinical care of patients following cardiac arrest. Please contact congress@erc.edu or visit the ERC Congress website for more details.